We are an automation company providing various automation process solutions. Various industrial segments are cement plants, glass factories, packaging solutions etc. These involve series of connected processes which need to be controlled without any tolerance. These types of solutions are generally covered under Industrial automation and Process automation. As an industrial automation company, we carry out various process automation, PLC automation, and PLC programming solutions. Also, we are providing integrated solutions on the Internet of Things (IOT) platform. As an industrial automation company, we carry out various process automation, PLC automation, and PLC programming solutions. We have established a reputation for being an automation company, capable of providing sophisticated customized solutions. There are many activities of a machinery which need to be carried out automatically. We can automate such processes using an array of sensors. This is basically an automation process. A set of sensors will monitor various parameters and will provide signals. Programmable Logic Controllers (PLC) will process these input signals and will generate output signals to give a set of commands. So we use a PLC to collect a lot of such signals and control various other activities based on these input signals. This explains fundamentals of an Automation process. We are using PLC and other components of reputed companies such as Wago, Beckhoff, GFR, Allen Bradley etc. Do you think a process is very critical and parameters need to be closely monitored over time without human involvement? Then you’ll definitely need services of an automation company for implementing industrial automation systems. Industries like logistics, vehicle manufacturing, product manufacturing etc. require automatic control for producing better results. Proper analysis of data and automation system management reduce errors in the production process. Thereby it increases the overall productivity of companies all over the world. We can greatly reduce human interference and errors in production with these automation systems. Case studies by automation companies also show that we can reduce labor cost and material wastage. For example in automation process of cement mixing stations, cement must be mixed with a correct amount of water, sand, gravel etc. Automating the process of mixing in correct proportion before entering the mixing chamber is essential to reduce wastage of raw materials. Since product quality is an important factor, automation of processes helps us produce goods with higher standards. Also, it ensures that we can maintain the same quality all over the products manufactured. When it comes to quality management, these systems are proven to produce better results. Also, it is possible to reduce industrial wastes to a great extent. We give below few of the automation process solutions from different industries for an overall idea of our capabilities. An automation system for temperature control of a furnace. We automated the temperature of the furnace and the material intake suitable for energy conservation. 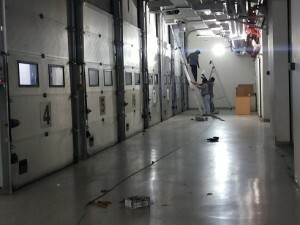 Automation process of shutters for a pharmaceutical warehouse. The warehouse consisted of numerous doors. In order to keep the temperature of the warehouse under controlled conditions, more than one door should not be opened in the same instance. This was automated with a wireless system consisting of sensors. Please read more about our door automation for warehouses. Automation process for monitoring the pressure of a tool of a CNC machine. Steel sheets fed on a CNC machine was having an uneven surface at times. This caused the machine tool to break. This was rectified by continuously monitoring the surface of the sheets and releasing the tool in time to prevent damage. Carbon Monoxide (CO) monitoring system with automated exhaust fan control utilizing a PLC panel. These are mainly for underground parking areas. Automation of loading trays, moisture control, dehumidification etc. in an indoor agriculture farm. 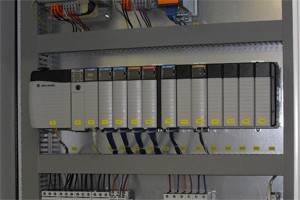 Automation of pressure control for an operating room in a hospital. The requirement was to have high sensitivity control of pressure to maintain negative pressure in this room. We also used our pressure monitoring system for this purpose. We have established ourselves as a capable industrial automation company for carrying out high-end automation solutions. Most of the solutions include PLC Automation including PLC programming for various brands from automation companies such as Allen Bradley, Beckhoff, SIEMENS, GFR, Rockwell, Wago etc. Cement process plant for automation of various processes including material handling and loading onto the trucks. Ghee packaging automation process for synchronizing the flow of the ghee and the packaging machine. Material handling automation process of the ready-mix cement plant to automate the loading of the cement based on the presence of the truck in the exact position using PLC automation. The processes involved material handling, packaging, loading etc. PLC Automation solution for automation of gates at container handling terminal. Standalone automation solutions with full power backup without connecting to BMS for better reliability. Automation to control humidity for a greenhouse, farmhouses, dairy farms, chiller rooms etc. There are many applications where exact humidity needs to be maintained. If the humidity goes down, a humidifier should switch ON automatically to increase humidity. If humidity goes high, a dehumidifier should switch ON automatically to reduce humidity. This needs precise control by using a PLC system with humidity sensors. Skids are designed for offshore works such as oil exploration, ship repair etc. There is a multitude of parameters to be controlled and monitored in such skids. These include monitoring of external and internal water levels. Numerous sensors are used for monitoring water levels, the operation of pumps, the temperature of various systems etc. All such parameters are connected to a central processor and various output actions are generated. The IO list (list of Input/Output signals) defines the entire set of input and output signals. All small to medium scale of industrial automation solutions are achieved through PLC and hence are known as PLC Automation. A PLC is a programmable logic controller which generally has a set of a fixed number of input signals and output signals. 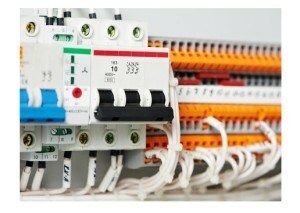 As an example, we will consider a small PLC having 10 inputs and 5 outputs. It can take inputs from 10 different sensors or measuring instruments. 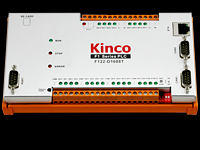 The outputs of the PLC can be programmed to generate different action-oriented signals based on various input conditions. Thus, a PLC gives output signals to control various equipment based on various input conditions.eg. In the above PLC, we will consider that one input is a temperature sensor. A second input can be a signal to check whether the door is in open or closed condition. We can define a condition that if the door is closed and if the temperature is below 20°C, it should switch ON the AC. Secondly, if the door is open and if the temperature goes below 23°C, it should switch ON the AC. You can see that for the same two sensors there are 2 different cases defined. In this case, we connect one output signal of the PLC to the AC to control the AC. Inside the PLC we program these 2 different conditions. This is the basic principle of a PLC Automation. PLCs are programmed based on ladder logic which is a sequence of actions required. In certain models. we can carry out the basic programming of a PLC using its own buttons. However, for advanced programming, we will have to connect the PLC to a computer for easy programming. Each manufacturer of PLC has its own proprietary software for programming the PLC. This software is used to program the PLC for various inputs and output conditions. The PLC has to be connected to the computer using a USB or serial cable and we can program using the software. We have trained engineers in various types of programming languages. Many of the industrial automation systems of an Automation company are for automating their machines. Hence, this segment is also known as Machine Automation systems. Examples of various machines are CNC machines, packaging machines, cement plant machines, bottling plant machines etc. Loading of empty milk bottles onto the roller. Movement of the bottles through the rails. The flow of milk to dispensing valves through pipes. The operation of dispensing valves in a timely manner. Starting and stopping of the valve based on the position of the bottle. Placing a cap on the bottle after the milk is filled and closing the cap thereafter. Placing the exact quantity of the filled and closed bottles in a carton. Moving the full carton and placing a new carton. Stopping the machine if any error is noticed anywhere in the entire system. The above are only examples given in a layman’s language for a machine automation of a milk bottling machine. 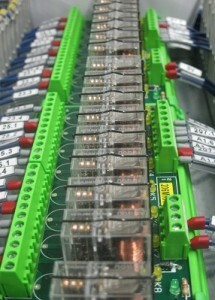 The above process involves hundreds to thousands of sensors and PLCs. An automation company implements the whole activities in an automated manner. Extensive applications of Automation in manufacturing have resulted in efficient manufacturing systems around the world. Automation machinery applications result in lesser human errors and faster turnaround of the products. Automation machinery systems are manufactured by numerous automation companies around the world such as SIEMENS, Allen Bradley, Rockwell, Beckhoff, Wago etc. We have carried out a project for a greenhouse involving automated lighting control, drip irrigation, humidity control and movement of trays. The project involved various elements of automation of a greenhouse. The system controlled the light and temperature at different times of the day. There were a set of dehumidifiers and humidifiers which will maintain a particular level of humidity at all times. There are trays for moving the plants and produces around the farm. These trays move on guided tracks. The project involved a lot of challenges compared to an industrial environment. The moving systems, plants etc. make it difficult to have a fixed set of controls. 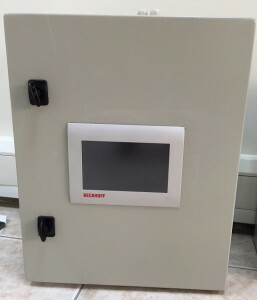 The user can change various parameters based on the type of plant. He can change the level of temperature, humidity, lighting etc. to suit different plants. A process automation company should design the entire concept the process required for the industrial application. The flowchart of the process will be decided by the client or the consultant. The design of entire control process and all required set of sensors have to be decided by the Process Automation company. There will be hundreds to thousands of processes to be designed and programmed by them. We have partnered with AMIT Automation, who is a leading automation company in Europe having decades of experience. 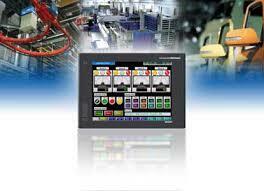 AMIT produces all types of HMIs, controllers, and processors for industrial automation solutions. We are promoting their products across all Middle East and North African (MENA) region. Vacker Group, Dubai is a fully equipped process Automation company and Industrial Automation company in Dubai providing its services in UAE, Qatar, Oman, Bahrain, Saudi Arabia, Bahrain, Kuwait etc. Also, Vacker Africa provides these solutions in African countries mainly Kenya, Nigeria, Sudan, Tanzania, Ghana, Rwanda, Djibouti etc.